UC Santa Cruz professor of theater arts Danny Scheie has received a 2017 award from The San Francisco Bay Area Theatre Critics Circle, a non-profit organization dedicated to promoting and recognizing excellence in theater arts. He was honored in the category of best featured actor for his role this past summer in George Bernard Shaw’s comedy, You Never Can Tell, at California Shakespeare Theater. Scheie has previously won Bay Area Critics Circle awards as leading actor for The Last Hairdresser at Theater Rhinoceros in 1997, You Nero at Berkeley Repertory Theatre in 2010, and Last Fall at San Jose Repertory Theatre in 2013. 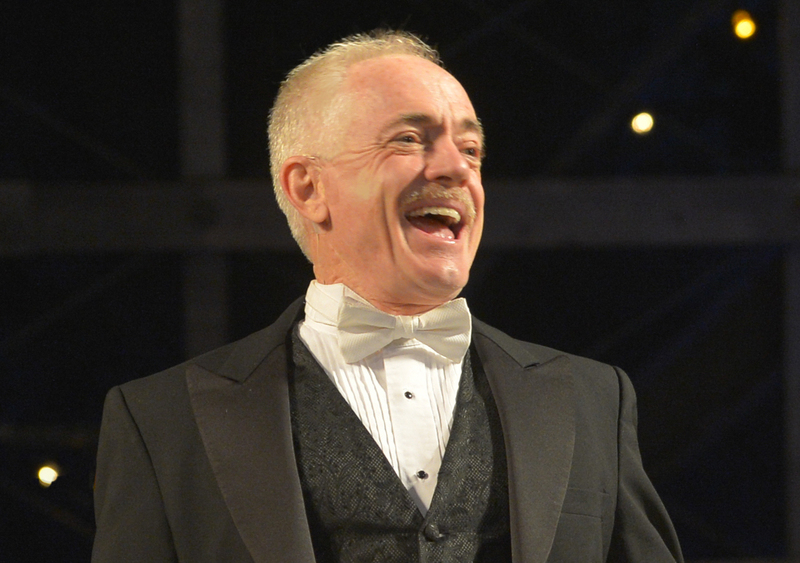 Scheie has also won as best supporting actor for a world premiere Lanford Wilson piece at the Magic Theater in 1996, and as director for Comedy of Errors at Aurora Theater in 1999. “The Critics Circle, like those in New York for stage and film, is made up of many theater critics who vote on the award, and has been the major longstanding award for theater in our area,” Scheie noted. “Recently, another award, the Theater Bay Area awards--which has a jury more like that of the Tonys in New York (a mix of critics, artists, and producers)--was initiated, for which I won the inaugural leading actor award as Dromio in Shakespeare's Comedy of Errors at California Shakespeare Theater,” he added. Scheie’s upcoming projects include the leading role in Amy Freed's Pulitzer-nominated The Monster Builder at South Coast Repertory, and next year in the world premiere of Freed’s Shrew! at the same theater. This summer he will also perform in Peter Sinn Nachtrieb's play The Making of A Great Moment at Z Space in Theater Artaud in San Francisco, and in fall Scheie will appear in a new play by Daniel Handler (Lemony Snicket) at Berkeley Rep.